This chapter shall provide insight into the legal sources that Austrian courts apply in cases of insurance litigation, the legal framework of the law applicable to insurance agreements, the difficulties seen in case of an international insurer being the defendant, and the most recent change of insureds' withdrawal right from an insurance agreement and why the Austrian legislator decided for this politically controversial move that only proved successful on a third attempt. The three main sources of law are legislation, broadly acknowledged templates of general terms and conditions, and precedents. The substantive insurance law is primarily governed by the Insurance Contract Act.2 In addition, certain advice and information obligations of insurers towards insureds are stipulated in the Insurance Supervision Act 2016.3 For certain types of insurance (e.g., motor liability insurance), special statutes exist. Where the insurance statutes do not provide for any special rules, general civil law provisions of the Civil Code apply. The Insurance Contract Act is, in general, applicable both in consumer and non-consumer contracts without distinction and also to large risks. It aims at protection of the insured as the weaker party, mainly by means of various coercive provisions that cannot be deviated from, to the detriment of the insured. However, specific types of insurance either do not fall under the scope of the Insurance Contract Act at all (reinsurance and marine insurance),4 or are not subject to its restrictions (transport insurance of goods, credit insurance and insurance against exchange loss).5 The most recent legislative changes in 2018 concern a simplification of the several withdrawal rights from insurance agreements. In addition, general insurance terms and conditions play a key role. Such model insurance terms are elaborated and published by the Austrian Insurance Association (VVO),6 and although these are not binding, they are usually adopted by Austrian insurance companies and incorporated into insurance contracts with minor changes. The most recent model terms that have been elaborated by the VVO cover cyber risks (see also Section V below). As a side note to this chapter, it shall at least be mentioned that as far as insurance regulation is concerned, the Insurance Supervision Act 2016 is the primary source of law, and conducting insurance business in Austria requires the holding of a respective licence. Depending on whether it is a domestic company or a third-country insurer, the Austrian Financial Market Authority (FMA)8 grants a licence upon application and fulfilment of preconditions. A European Economic Area (EEA) insurance company holding a licence and situated outside Austria does not require a further or domestic insurance licence. Such EEA insurer may, upon notification of the competent supervisory body, conduct insurance business in Austria on a freedom-of-services basis or on an establishment basis through a local branch. The ongoing supervision of the insurance market in Austria is also carried out by the FMA. Furthermore, Section 68 of the Insurance Contract Act contains a provision that deals with the facts that either no insured interest existed from the beginning or that an insurable interest ceased to exist during the term of a policy. Such an interest is the relationship between the insured and the insured asset. An insured interest does not exist if either (1) no insured exists who carries such an interest, or (2) the insured asset or the relationship to this asset does not exist at the outset of the insurance, or it certainly will not exist in the future.10 As at 7 October 2018, in the database of the Legal Information System of the Republic of Austria11 there are eight judgments of the Supreme Court of Justice, between the years 1938 and 2012, that relate to Section 68 of the Insurance Contract Act,12 and this reflects that this statutory provision is not highly disputed in courts. Insurance disputes (i.e., disputes over the content or scope of a private insurance agreement), are typically heard by the state courts. Even though arbitration proceedings are recognised, it does not play a key role in Austrian insurance practice. The same is true for mediation proceedings, which are recognised by Austrian courts, but it is not mandatory for a party to go through mediation before filing a lawsuit in a contested insurance matter. As stated in Section II.i above, the highest instance in contested insurance matters is typically the seventh senate of the Supreme Court of Justice. On 20 April 2018, the Supreme Court of Justice released, inter alia, two rulings that are worth mentioning because they contain, at a glance, some general rules that the Supreme Court applied. However, looking into it in more detail, especially the first decision we explain, reveals the probably longer-lasting impact it may have on the Austrian market. The first case, court file No. 7 Ob 44/18y, affects a credit risk insurance agreement of an Austrian limited liability company as insured. 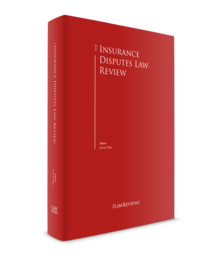 While the dispute between the parties had several angles, the most interesting one may be the claim of the insurer against its insured for a repayment of the insurance proceeds. The insurer argued that the insured was not entitled to insurance proceeds under the policy because the insolvency administrator of the insured's debtor contested the insured's claim and such a claim is deemed not to be covered by its credit risk policy. Noting that the Insurance Contract Act does not contain specific provisions for credit insurance, the language of the policy wording, predominantly the general terms and conditions of insurance, became crucial in this case. The relevant wording that the Supreme Court of Justice looked at was the primary risk description, because Article 1 reads that the insurer would cover a shortfall in payment on 'legally justified payment claims' of the insured against one or more contractual partners from contracts, deliveries or services (covered contracts). Contrary to the court of first instance and the court of appeals, and against the arguments brought forward by the claiming insurer, the Supreme Court of Justice referred the case back to the court of first instance because the defendant insured did not plead in court whether the claim against its debtor was legally justified. As this aspect has not been discussed with the defendant so far, the defendant is protected from a surprising decision. While at this point one can only anticipate the court's future decisions in the forthcoming proceeding, the arguments of the Supreme Court of Justice are clear. It stated that it would be inappropriate to follow the courts of lower instance and the argument of the insurer and apply German case law on the facts at hand because the typical credit risk insurance terms and conditions used in Germany read slightly but significantly differently as they grant insurance coverage for 'undisputed/unchallenged/titled' claims. While the insurer may have thought that its wording for Austria is identical in terms of the scope of coverage with its wording for Germany, it probably now realised that using only a slightly different term in the Austrian wording results in a big difference on the risk that it accepted and the insurer should analyse its book of business for Austria to understand the risk that it carries. Likewise, Austrian insureds should expect that this and probably other credit risk insurers will adapt their wording for Austria accordingly to cover only 'undisputed' payment claims in the future. Therefore, any Austrian insureds taking out or keeping credit risk insurance should be aware that this ruling of April 2018 may have an impact of the scope of coverage from 2019 or whenever the respective insurer adapts its wording. A second case (7 Ob 199/17s) that the Supreme Court of Justice made public in April 2018 concerned the applicability and scope of an exclusion (known as the secondary risk description) in a commercial third-party liability insurance. The relevant exclusion has been designed in a way that the insurer shall not be liable to pay if the insured event was caused as a result of gross negligence or if the insured acted contrary to regulations applicable for its business. In the case at hand, an insured carried external personnel over many years in the cage of a working platform, knowing, inter alia, from the civil engineer who annually inspected the platform, that it was prohibited from any passenger transport. However, the insured argued in court that it was of the opinion that the safety appliances were sufficient for any passenger transport. It is acknowledged in insurance contract law that gross negligent behaviour exists if the simplest obvious thoughts have not been considered and if those measures, which make sense to everybody, have not been taken. While the insured does not necessarily need to be aware of the scope and specific wording of the rule that prohibits certain behaviour, it must be aware that it violates a prohibition, which may also follow from individual instructions of an authority, such as an official order. Based on the findings of the courts of lower instance and on the aforementioned legal environment, the Supreme Court of Justice concluded that the court of first instance and the court of appeal correctly decided that the exclusion had been satisfied by the insured and that the insurer is not liable to pay. While the insurer could in this case successfully meet the burden of proof that the exclusion applies, the damage may probably not only stay with the insured. Of course, the decision has a huge impact on the insured, which has to satisfy the claims of the individuals who were carried in the cage of the working platform and suffered bodily injury. However, if the quantum of the (long-term) claims of the injured individuals exceeds the assets and the insured's ability to pay, then the damage finally remains with the injured individuals. This consequence, however, is exactly what third-party liability insurance should, in general, cover, and this decision therefore reminds insureds and third parties to pay careful heed to prohibitions so as not to lose insurance coverage. The local standard may be most accurately described by three major aspects: insureds would expect (1) the policy wording to be in German, or in case of a bilingual special insurance wording, that the German wording prevails, (2) that no arbitration clause exists and (3) that Austrian law applies. However, international insurers that serve the Austrian and German market sometimes apply German law to their insurance agreements with Austrian insureds. For insurance intermediaries and the Austrian courts, this does not bring much surprise or complications in the application of the law because the Austrian Insurance Contract Act historically stems from the German Insurance Contract Act, with minor linguistic variation. If foreign law applies and Austrian courts have to decide a dispute under foreign law, then the judge would appoint a foreign law expert to gain an understanding on how the legal question would be answered under that foreign law.17 Such procedure is not necessary for German law, as the official language is identical in both countries and both insurance contract acts are rather similar. Since Austria is a member of the EU, jurisdiction in international insurance disputes is determined by the rules of Brussels I Regulation (recast).19 As a general rule (see Articles 11 to 14), the Regulation stipulates that an insurer may bring proceedings only in the courts of the Member State in which the defendant (the policyholder, the insured or a beneficiary) is domiciled. However, the insurer may be sued in the courts of the Member State in which it is domiciled (including where it has a branch, agency or establishment); or in the Member State where the claimant (the policyholder, the insured or a beneficiary) is domiciled; or, if it is a co-insurer, in the courts of a Member State in which proceedings are brought against the leading insurer. For liability insurance, the insurer may, in addition, be sued in the courts of the place where the harmful event occurred and may, in general, be joined in proceedings that the injured party has brought against the insured. where the policyholder pursues a commercial or industrial activity or a liberal profession, and the insurance contract covers two or more risks that relate to those activities and are situated in different Member States, the law of any of the Member States concerned or the law of the country of habitual residence of the policyholder. For compulsory insurance, special provisions apply. Article 7 of the Rome I Regulation provides that if the parties would be entitled to choose Austrian law, and Austrian law allows greater freedom on choice of law in insurance contracts, then the parties are allowed to make use of this freedom. In Austria, this is the case: according to Section 35a of the Private International Law, the parties may choose any law as the law applicable to the insurance contract. However, if the insurer carries out its business or otherwise directs its activities to the state of residence of the insured, then by choice of law the insured may not be deprived of the rights granted under mandatory provisions of the law that would be applicable in the absence of choice. In consumer contracts, further limitations exist. For arbitration clauses, the general norms of the Code of Civil Procedure stipulate that an arbitration agreement may be concluded between parties for both existing and future civil claims that may arise out of or in connection with a defined legal relationship (insurance matters are not excluded). The arbitration agreement must be in writing and indicate the parties' will to submit to arbitration. In consumer contracts, however, stricter requirements exist. As mentioned above, one of the most recent legislative changes in 2018 concerned a modification of the withdrawal rights from insurance agreements. While the need for change was ultimately triggered by a decision of the European High Court of Justice in 2013,21 it was only the subsequent decision of the Supreme Court of Justice in 201522 that resulted in difficulties for insurers of life insurance agreements under Austrian law because it ruled that inaccurate instructions of the insured's withdrawal right are to be treated as if no instructions had been provided, and therefore the insured has the benefit of an indefinite withdrawal right. This precedent brought insurers difficulties insofar as litigation funding resulted in numerous claims being made against life insurers for repayment of premiums that had been paid over several years, plus a demand for interest of, in general, 4 per cent per year, which exceeded by far the amounts that the insurer could achieve in the low-interest period of recent years. Therefore, the legislator decided in 2018 to amend the laws that deal with an insured's withdrawal rights. Nevertheless, it can be expected that Austrian courts and life insurers will be kept busy with litigation related to this question for quite some more time. Another development in Austria, which follows a rather global trend, stems from a wording template to cover cyber risks and that has been recently elaborated by the Austrian Insurance Association. While it is clear that the new template shall be used to provide insurance against cyber risks,23 there are not many details of the new wording publicly available yet.24 Needless to say, this new product will be tested in insurance litigation cases in the near future. 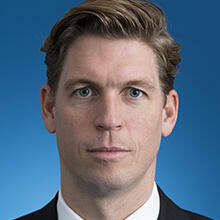 1 Ralph Hofmann-Credner is counsel at Wolf Theiss Rechtsanwälte GmbH & Co KG. 3 Versicherungsaufsichtsgesetz 2016 – VAG 2016. An English translation of the VAG 2016 is available online: www.fma.gv.at/download.php?d=825. 4 Section 186 Insurance Contract Act. 5 Section 187 sub-para 1 Insurance Contract Act. 6 Model insurance terms and conditions in German can be found on the website of the VVO: www.vvo.at/vvo/vvo.nsf/sysPages/musterbedingungen.html. 7 The scope of the several senates within the Supreme Court of Justice can be accessed here: www.ogh.gv.at/der-oberste-gerichtshof/geschaeftsverteilung/. 8 The homepage of the FMA is available in English. For a general overview on supervision of insurance undertakings, licensing and notification and other special topics, see www.fma.gv.at/en/insurance. 9 RIS – Justiz RS0016830. 10 Ertl in Fenyves/Schauer (Editor), VersVG § 68 Rz 5. 11 The Legal Information System of the Republic of Austria is a platform and database providing information on Austrian law. 12 Search result on the website of the Legal Information System of the Republic of Austria: www.ris.bka.gv.at/Ergebnis.wxe?Abfrage=Justiz&Gericht=&Rechtssatznummer=&Rechtssatz=&Fundstelle=&AenderungenSeit=Undefined&SucheNachRechtssatz=True&SucheNachText=True&GZ=&VonDatum=&BisDatum=07.10.2018&Norm=VersVG+%c2%a768&ImRisSeitVonDatum=&ImRisSeitBisDatum=&ImRisSeit=Undefined&ResultPageSize=100&Suchworte=&Position=1. 13 Article 8 of the General Conditions for Property Insurance (ABS 2012). 14 Article 9 of the General Conditions for Legal Expenses Insurance (ARB 2015). 15 Article 16 of the General Conditions for Accident Insurance (AUVB 2008, Version 06/2017). 16 Section 64 sub-section 2 and Section 184 sub-section 2 of the Insurance Contract Act. 17 Section 4 of the Private International Law (internationales Privatrecht – IPR–Gesetz). 19 Regulation (EU) No. 1215/2012 of the European Parliament and of the Council of 12 December 2012 on jurisdiction and the recognition and enforcement of judgments in civil and commercial matters. 20 Regulation (EC) No. 593/2008 of the European Parliament and the Council of 17 June 2008 on the law applicable to contractual obligations (Rome I). 21 ECJ 19. 12. 2013, C-209/12, Endress/Allianz. 22 Supreme Court of Justice 2.9.2015, 7 Ob 107/15h. 23 The abbreviation for this wording template will most likely be 'ABC 2018'. 24 A presentation of this Cyber Risk wording has been announced for 15 October 2018: www.gvfw.at/gvfw/gvfw.nsf/sysPages/BD2A2ED15B271B98C12582B70033C773.